Overflow incontinence results from accumulation of excessive amounts of urine in the bladder. Overactive bladder can occur at any age, but it is most common in the elderly population. Recent surveys have suggested a prevalence of 10%-20% in the population over 40 years of age with similar numbers in men compared to women. It is worth mentioning, however, that men tend to develop this condition later in life than do women. Even though overactive bladder is a benign condition, it impacts the quality of life of those who suffer from it. Fear and embarrassment from urinary urgency, frequency, and incontinence in public and among family and friends may result in social isolation, guilt, depressive symptoms, and intimacy issues. Family members of the elderly with OAB are often dealt the burden of assisting their loved ones with toileting, cleaning, hygiene, and personal distress. The urinary bladder is comprised of nerves, muscles, and connective tissue. The most important muscle in the bladder is the detrusor muscle. In normal circumstances, when the bladder fills with urine, it can stretch to hold the urine. When the volume in the bladder reaches close to 300 cc, the stretch in the wall of the bladder can trigger a nerve response to initiate urination (micturition). This reaction results in loosening of the sphincter in the neck of the bladder (connecting the bladder to the urethra) and contraction of the detrusor muscle so that urination can ensue. This response can be overridden voluntarily by an individual to prevent urination if it is not the right time or place. Sometimes no identifiable cause for overactive bladder can be found. This is termed idiopathic overactive bladder. The most common risk factor for overactive bladder is increasing age. Approximately 20% of people over the age of 70 report symptoms suggestive of overactive bladder. Race and gender are not considered major risk factors for overactive bladder. The hallmark of OAB is urinary urgency, a sudden urge to urinate that may be difficult to control. Actual loss of urine (incontinence) is not a defining symptom of overactive bladder, but it can happen as a result of urgency. Urinary incontinence tends to be more common in women with OAB compared to men. The other symptoms of overactive bladder are urinary frequency (urinating more than eight times in 24 hours without any other reason, such as taking water pills) and nighttime urination or nocturia (waking up at least twice in the middle of the night to void). Individuals who think they have symptoms of OAB may choose to see their primary-care physician or a urologist to be evaluated for this condition. As mentioned earlier, there are other conditions that can mimic overactive bladder syndrome, and these need to be assessed and treated appropriately. Additionally, there are tests that can be done by doctors to determine underlying issues and the severity of this condition. The diagnosis of overactive bladder can be suspected based on the history and presenting complaints of an individual. A thorough medical history and physical examination by the doctor and review of the medications and symptoms often provide major clues in moving toward making a diagnosis of overactive bladder. A pelvic exam in women and prostate exam in men are important in the assessment of an individual with overactive bladder. Basic blood work and urinalysis can complement history and physical examination. Usually blood chemistry and kidney function tests are ordered to evaluate for possible metabolic problems, such as diabetes. Urinalysis with urine culture is also helpful to assess for any existing urine infection or other urinary and kidney disorders. Sometimes urine cytology studies can be performed to see if any cancer cells may be present in the urine suggesting bladder cancer. Another useful test in evaluating for OAB is a post-void residual (PVR). This entails measuring the amount of urine in the bladder after urination using an ultrasound or by placing a catheter in the bladder through the urethra. Urologists may further investigate urinary symptoms by performing urodynamic measurements. These tests can provide estimated detrusor muscle activity by measuring the pressure in the urinary bladder. Treatments for OAB can be classified into three categories; nonmedical therapy or behavioral therapy, medical therapy, and rarely, surgical therapy. In general, the combination of behavioral therapy and medications has been proven to be more effective in treating OAB than either therapy alone. The educational component of behavioral therapy consists of understanding the causes and risk factors for the condition, recognizing the symptoms, and implementing a treatment plan. Lifestyle and dietary modifications can play an important role in the treatment of overactive bladder. These modification include things such as limiting the intake of fluid, caffeinated drinks, carbonated sodas, and alcohol, as they can cause increased urination. Bladder training entails implementing regimented and scheduled voiding times with progressively longer intervals. This type of training helps to normalize urinary control, reduce voiding frequency, increase bladder capacity, improve patient confidence, and decrease episodes of incontinence. Pelvic floor muscle therapy (PFMT) involves exercises that improve the function and the strength of the muscles of the pelvic floor and the urinary sphincter. These exercises, such as the Kegel exercises, are thought to possibly inhibit the involuntary contraction of the detrusor muscle, thereby reducing the urge to void. They can be done between 30 to 80 times daily for about eight weeks before noticing significant results. Biofeedback are techniques used to increase awareness in order to contract pelvic muscles during episodes of urinary urgency. These can be combined with pelvic muscle exercises. Behavioral therapy has been recommended as the first-line therapy for overactive bladder and incontinence in general by the Third International Consultation on Incontinence as well as the Agency for Health Care Policy and Research. Limitations of behavioral therapy have to do with patient motivation and ability to perform the necessary exercises or techniques. For many of the elderly, especially those with dementia or other neurologic problems, performing and adhering to these treatments can be very challenging and impractical. The most common group of medications used to treat overactive bladder are the anticholinergic drugs. These medications work by diminishing the activity of and relaxing the detrusor muscle. As a group, they have similar side effects, including dry mouth, blurry vision, constipation, and confusion, especially in the elderly. These drugs for OAB are taken by prescription only and should be taken under the supervision of the prescribing doctor. Oxybutynin (Ditropan) is taken two to three times a day. The extended-release form, Ditropan XL, can be taken once a day. There is also a patch form, Ditropan patch or oxybutynin (Oxytrol), which can be placed on the skin once or twice per week. 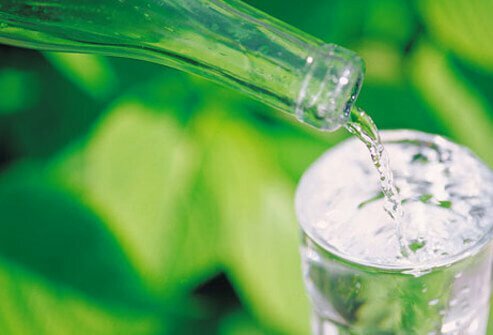 Tolterodine (Detrol) produces less dry mouth as a side effect and can be taken twice a day. The extended-release type, Detrol LA, is taken once a day. Solifenacin (VESIcare) is also used once a day and is relatively new in this group of medications. Darifenacin (Enablex) has the least confusion-type side effects and is recommended for the elderly with dementia. It is also taken once daily. Fesoterodine fumarate (Toviaz) is a once a day medication. Mirabegron (Myrbetriq) is a beta-3 adrenergic agonist indicated for the treatment of overactive bladder (OAB) with symptoms of urge urinary incontinence, urgency, and urinary frequency. Occasionally antidepressant medications are used for treatment of overactive bladder. More specifically, duloxetine (Cymbalta) has shown some benefit in treating the urinary symptoms of overactive bladder, although it is currently not approved by the U.S. Food and Drug Administration (FDA) for this purpose. Estrogen preparations, orally or vaginally, are sometimes used in postmenopausal women with incontinence. Some of the newer therapies for overactive bladder include Botox injection into the detrusor muscle. This has been used with relative success in some people who otherwise have not responded to more traditional treatments for OAB. Botox has not been approved for this use by the FDA. Herbal and natural remedies for overactive bladder have not been studied scientifically and even though they have been traditionally used for a long time, their effectiveness is greatly unknown. Some of the commonly used herbal therapies for overactive bladder are buchu (Barosma betulina), cleavers, corn silk, horsetail, saw palmetto, and gosha-jinki-gan. Despite availability of these natural and homeopathic therapies for overactive bladder, most experts discourage their use due to lack of scientific evidence and possible risks. Insertion of nerve stimulators have been approved for treating overactive bladder, which is refractory (unresponsive) to other more common therapies mentioned above. These devices can modulate and rebalance the nerve stimulation responsible for OAB and hyperactive detrusor muscle. Sacral nerve stimulation (InterStim Therapy Sacral Nerve Stimulation, Medtronic, Minneapolis, Minn.) is the most common type used. If the patient with OAB responds to a test stimulation, then the device can be surgically implanted. Another type of nerve stimulator is Urgent PC (Uroplasty, Inc., Minnetonka, Minn.), a percutaneous (delivered through the skin) tibial nerve stimulation therapy. Both of these devices are FDA-approved for OAB. Traditional surgery is rarely used in treating overactive bladder and is reserved for cases unresponsive to all other forms of therapy. Reconstructive bladder surgery is the most commonly performed procedure. Additionally, OAB is associated with increased economic burden and financial complications due to the need for increased caregiver hours, nursing-home placement, and treatment of infections or fractures. Follow-up for overactive bladder depends on how the symptoms are controlled with a proposed treatment and what other underlying conditions need to be addressed. The treating physician is the best person to determine the timing and frequency of follow-up. There are no specific preventive measures for overactive bladder syndrome. However, some of the symptoms such as frequency or incontinence can be prevented by simple steps. For example, limiting fluid intake, especially prior to going to bed, may reduce urinary frequency and nocturia. Additionally, avoidance of spicy foods, chocolate, carbonated beverages, caffeine, and alcohol may help reduce symptoms of overactive bladder. A high-fiber diet may be encouraged in individuals with OAB. Generally, the prognosis for overactive bladder is favorable. A majority of individuals with this condition are successfully treated via behavioral and medical therapies. Chang, Louise, ed. "Herbal Remedies for Overactive Bladder." WebMD. Feb. 15, 2011. <https://www.webmd.com/urinary-incontinence-oab/features/herbal-remedies-for-overactive-bladder>. Ellsworth, Pamela, and Eileen Kirshenbaum. "Update on the Pharmacologic Management of Overactive Bladder: The Present and the Future." Urol Nurs. 30.1 Apr. 7, 2010: 29-39. Shaw, Howard A., and Burrows, Lara J. "Etiology and Treatment of Overactive Bladder in Women." South Med J. 104.1 Jan. 26, 2011: 34-39. What were the symptoms of your overactive bladder? Please describe your experience with overactive bladder medications.